Rubbing shoulders with two-time Olympic alpine skiing medalist, Andrew Weibrecht and Olympic figure-skating medalist, Paul Wylie is a sure bet. Test driving this season’s skis & snowboards is available all-day, each day. A wintery fireworks show happens Saturday at dusk. The Glen Harlow & North Fork band entertains during après ski/snowboard. The Edge of the World mini snowboard games occurs Sunday. An intensive three-day ski clinic shakes campers into shape. Lodging deals around the mountain are abundant. A hot chocolate with whipped cream bar and North Carolina BBQ headline SugarFEAST. And of course, Sugar Mountain Ski Resort features skiing, snowboarding, ice-skating, tubing, and snowshoeing, Southern Style. To learn more about SugarFest click here or call 800-SUGAR MT. 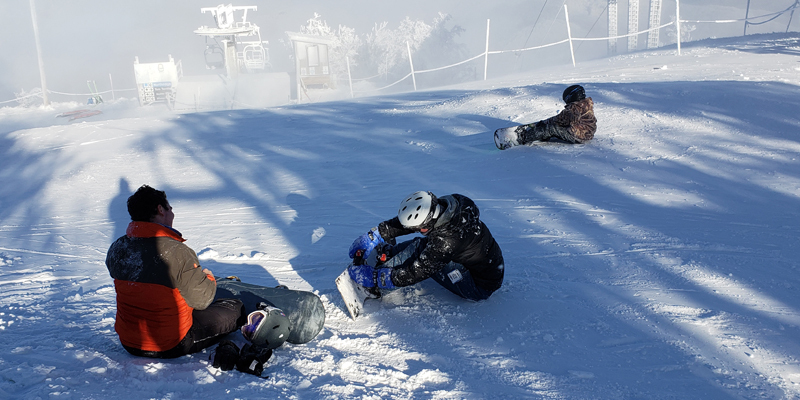 The winter celebration is sponsored by The Village of Sugar Mountain Tourism Development Authority, Ski Country Sports, and EDGE of the WORLD.